As everyone knows money is generally an issue for almost everyone one in the world. Whether they have too much or more often to little. There is a reason the saying “Money is the root of all evil”exists, because it can definitely be. Money rules the world and more importantly greed. Money effects people in all sorts of ways and has the ability to control even the strongest of people. 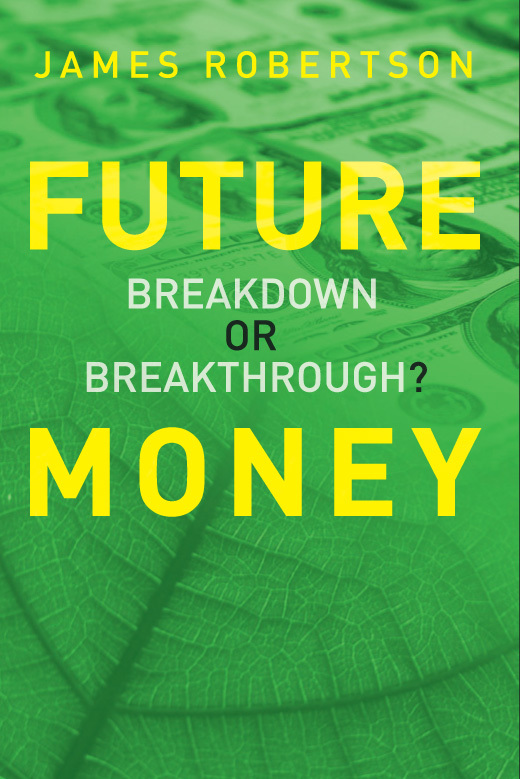 Description: Future Money explains in plain language and convincing detail how money is now working to propel us toward the self-destruction of our species – and what we should do about it. Of course, money is not itself the problem, but in the way it works at present, it affects us as a diseased blood or brain system affects a living person. The world’s financial experts and leaders in politics, government and business, and most mainstream academic and media commentators have shown in the past few years that they are not yet able or willing to diagnose and treat the problem. The book clearly shows how the money system works, how it could be reformed so that it acts to the benefit of people and society rather than the opposite, and describes the obstacles that currently prevent a reform of the money system.